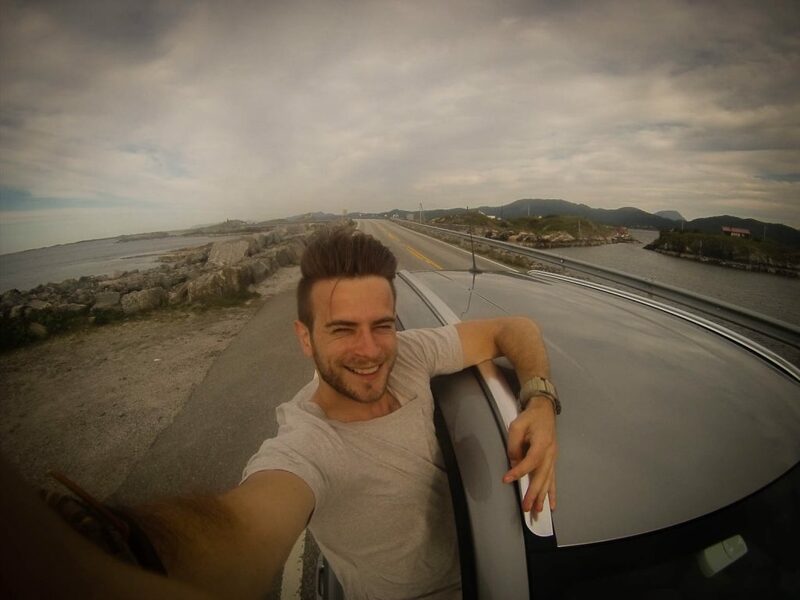 The Atlantic Road, to Norwegians better known as Atlanterhavsveien, belongs to the 18 national tourist routes of Norway. And you can’t deny that, because this road is amazing! 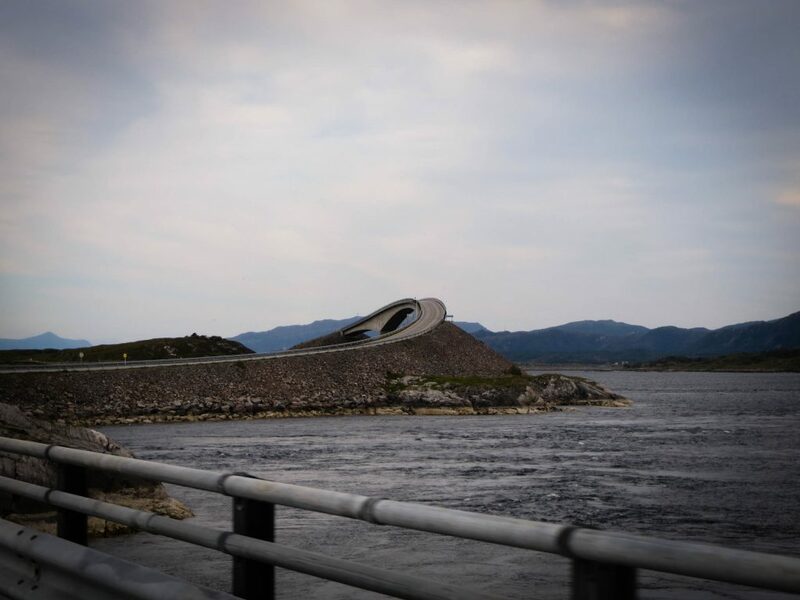 This public piece of asphalt, which actually looks more like a rollercoaster than a road, connects the islands Averøy, Vevang and Eide to the mainland of Kristiansund and Molde. 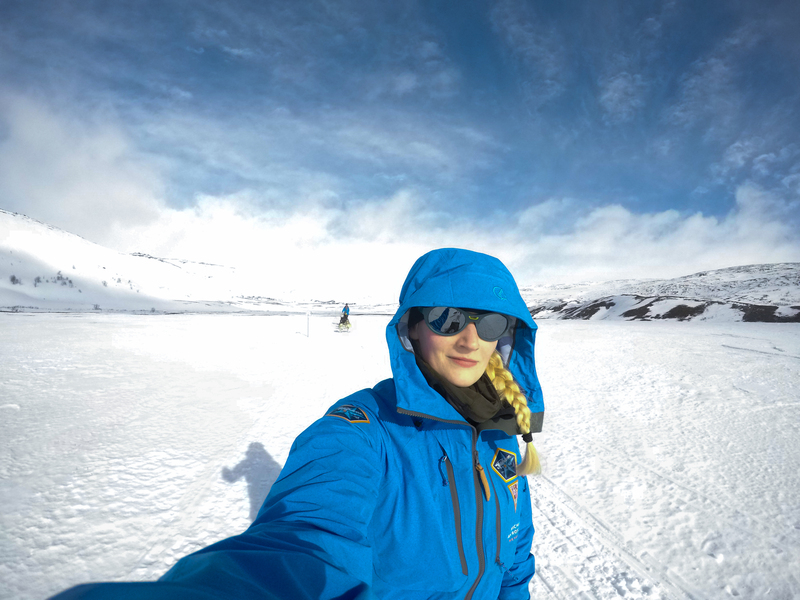 The road is barely 8 kilometers long, but is renowned worldwide for her impressive appearance. 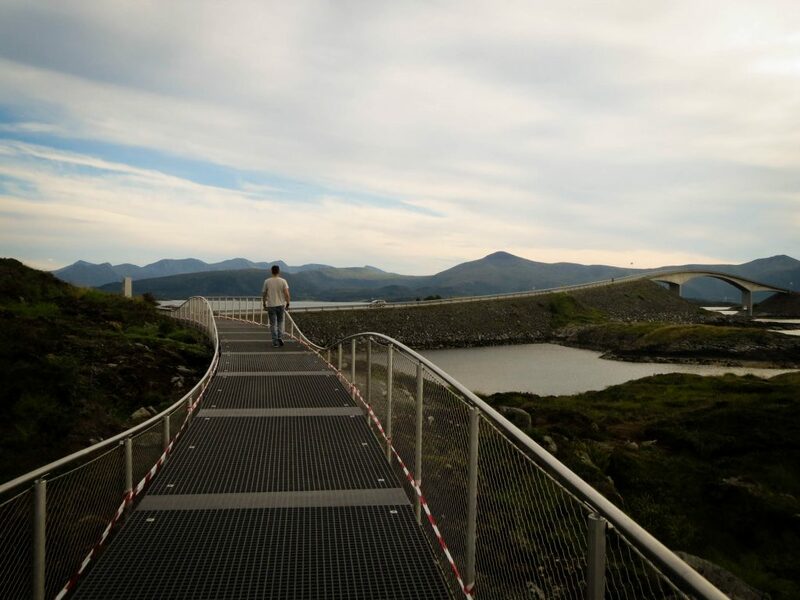 The Atlantic Road hops over the ocean via 8 very special bridges from island to island. 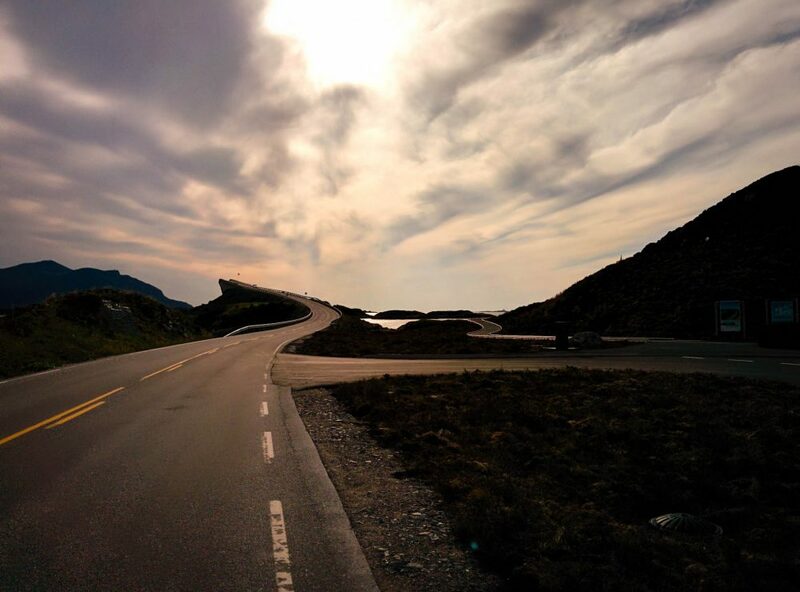 It undulates, folds, curls, twists, climbs and descends in the most spectacular ways from Molde to Kristiansund. 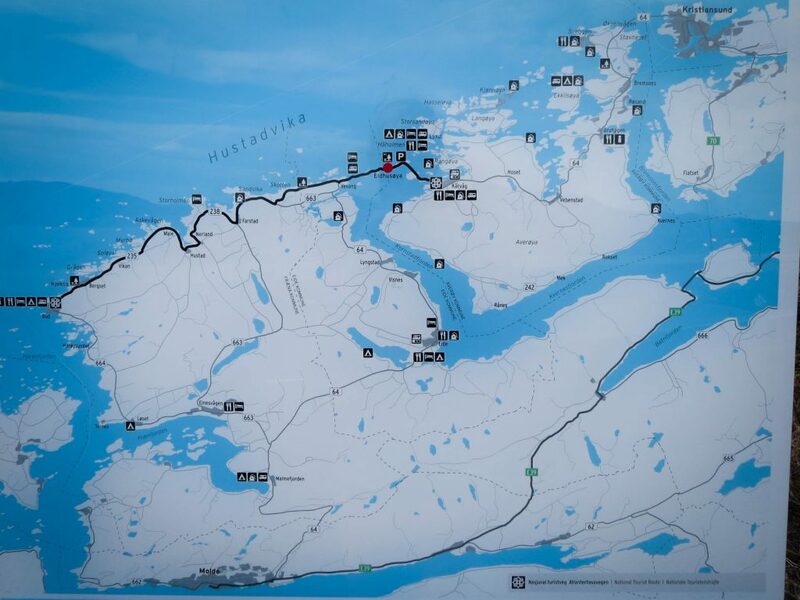 The Norwegians consider this road as cultural heritage and in 2005 the road has even been appointed as Norwegian Construction of the Century! 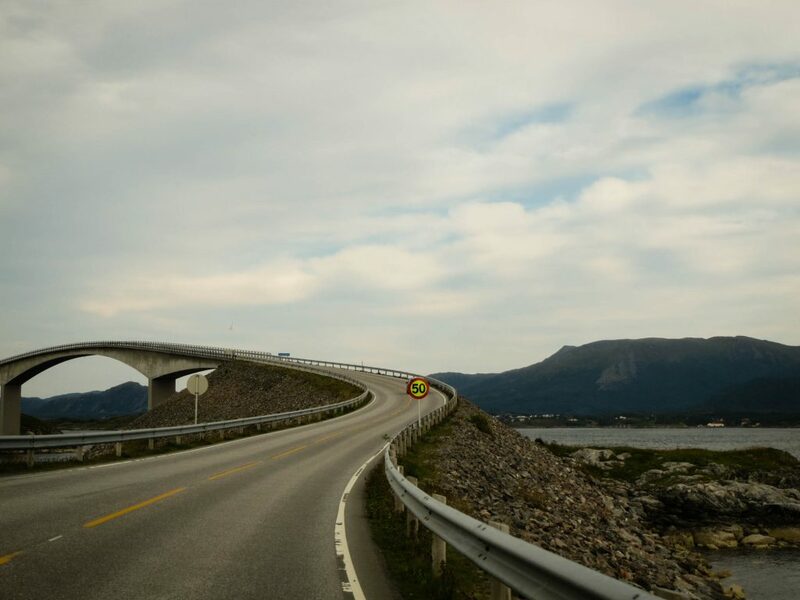 How do you get to The Atlantic Road? 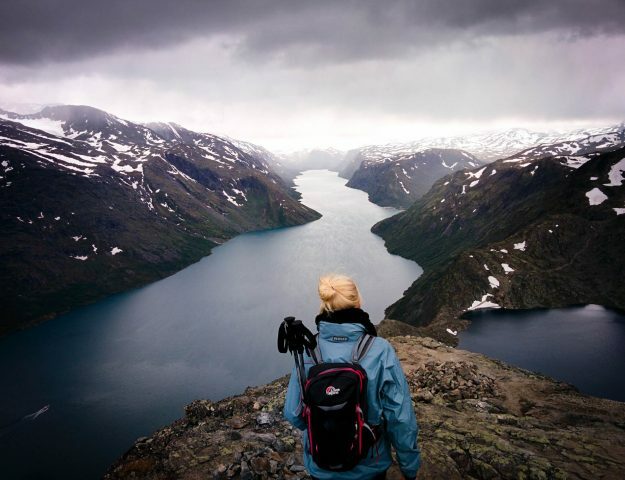 Because we came across an amazing hiking trail when we were traveling from Trollstigen to the Atlantic Road, we arrived at the nasjonal turistveger by dusk. 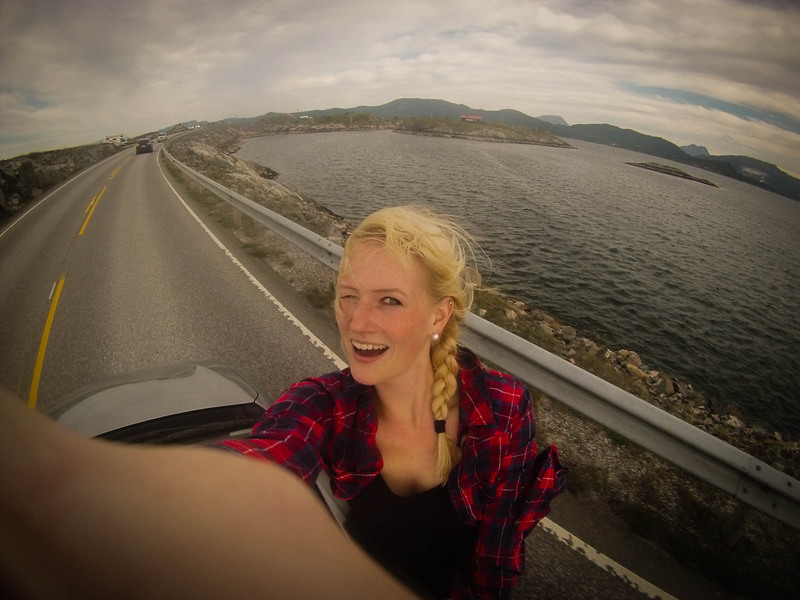 The crazy thing was that we had amazing weather ALL day, right until we started driving the Atlantic Road. Clouds appeared from out of nowhere and scared away the sun. It was still super pretty and fun to drive though, so once we crossed the ocean we decided to turn around and cross it again! The highest bridge of all: the Storseisundbrug (23 meter). And this time we didn’t get any grey clouds, but an amazing painting of variations of pastel colors, clouds and rays of sun. The golden yellow, purple and pink reflected on the asphalt and made everything look super dreamy. We did not regret driving back AT ALL! Eyes on the road, hands on the wheel! 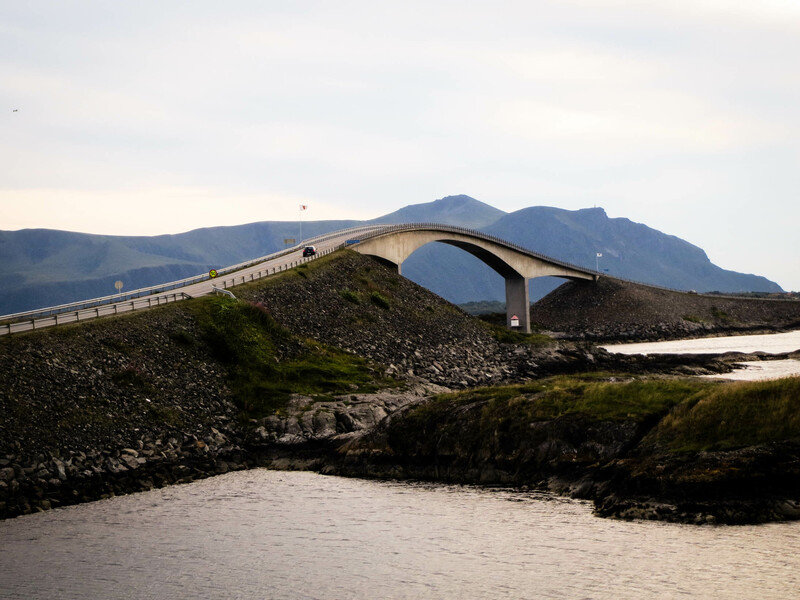 The Atlantic Road demands all of your attention because of the dramatic bridges, dangerous bends and even the fishermen that might be standing in the middle of the road. If you can’t keep your eyes on the road, you might want to pull over at one of the parking lots to enjoy all the amazing views. And maybe have a svele while you’re there! 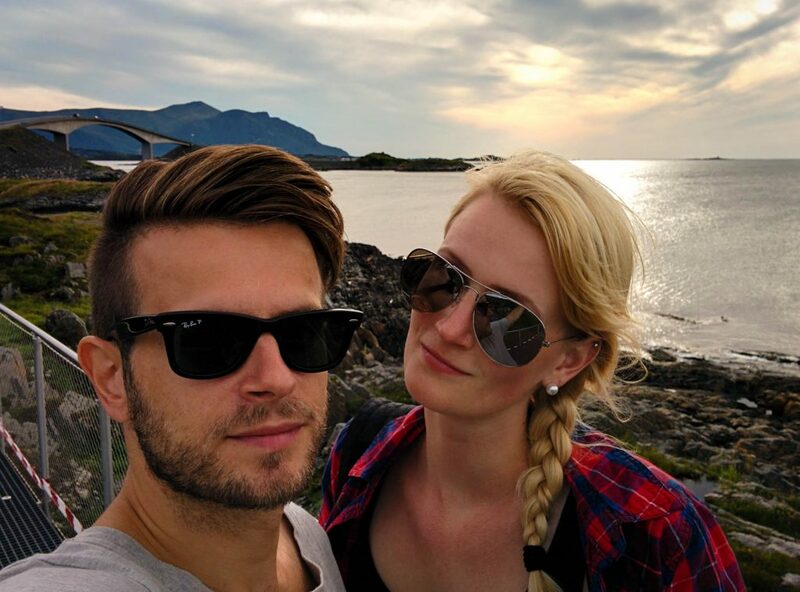 It took the Norwegians six years to build the Atlantic Road, starting on the 1st of August 1983. They opened the road on the 7th of July 1989. Price tag? €14,5 million. The money was supposed to be earned back by toll in 15 years time. However, they reached the €14,5 million after only 10 years so they decided to take a way the toll. Now everybody can enjoy this spectacle for free! 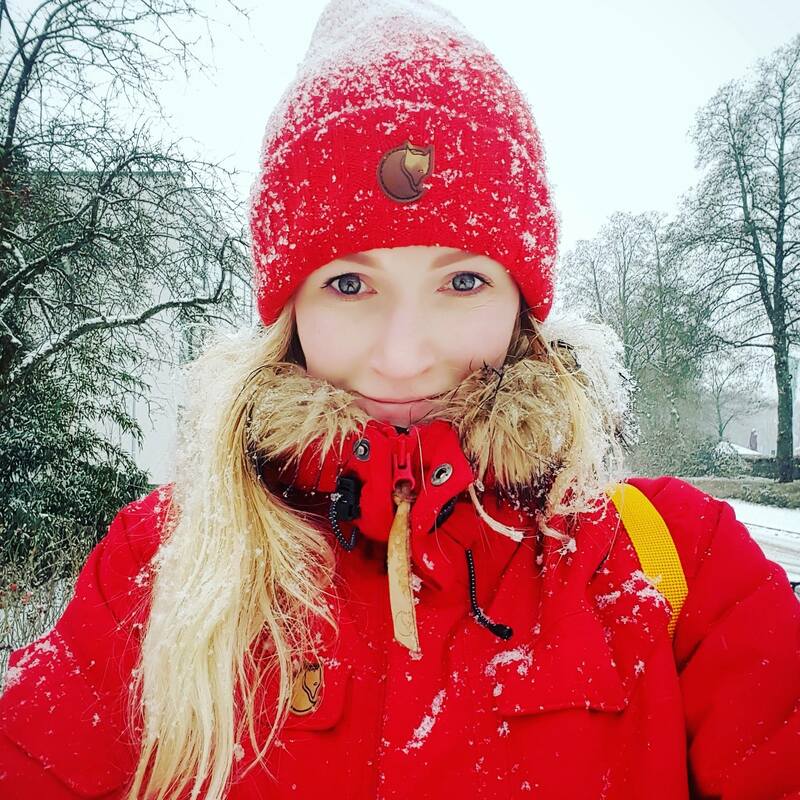 YAY NORWAY! Lille Lauvøysundbridge – length 115 meters, height 7 meters. You can even drive this route in stormy weather. To many people this is even more spectacular, while some people prefer to stay at home when the sea smashes its waves over the road. 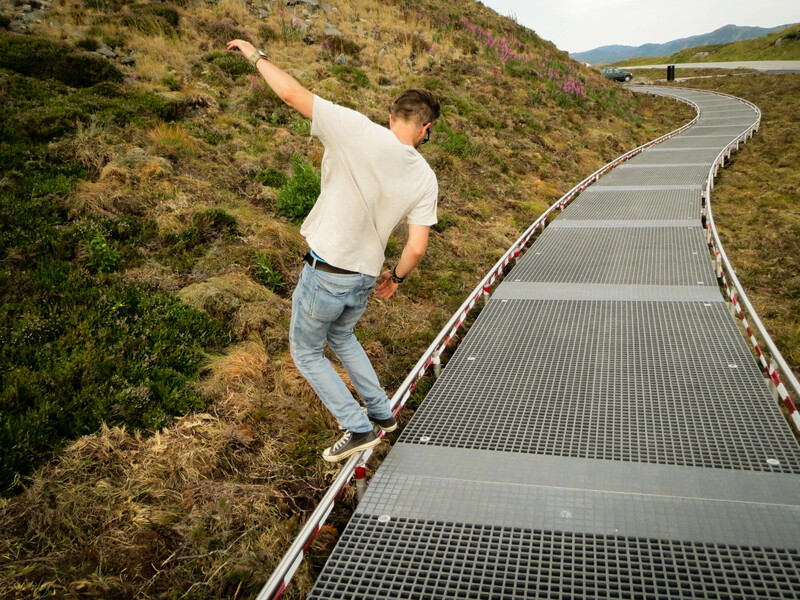 You have to be quite the daredevil to do this. As you can see in this video (2011) the waves can be very big and very rough! 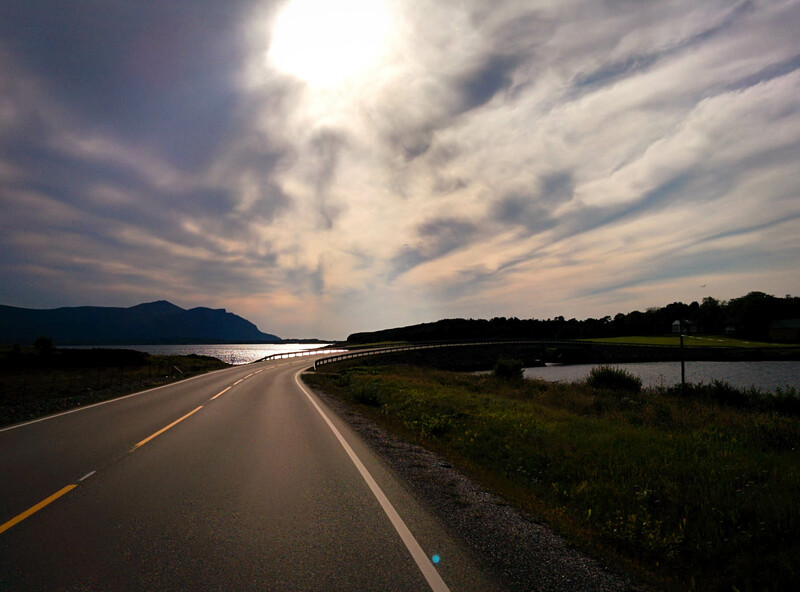 To me, these 8 kilometres of asphalt belong to the most beautiful roads in the world. 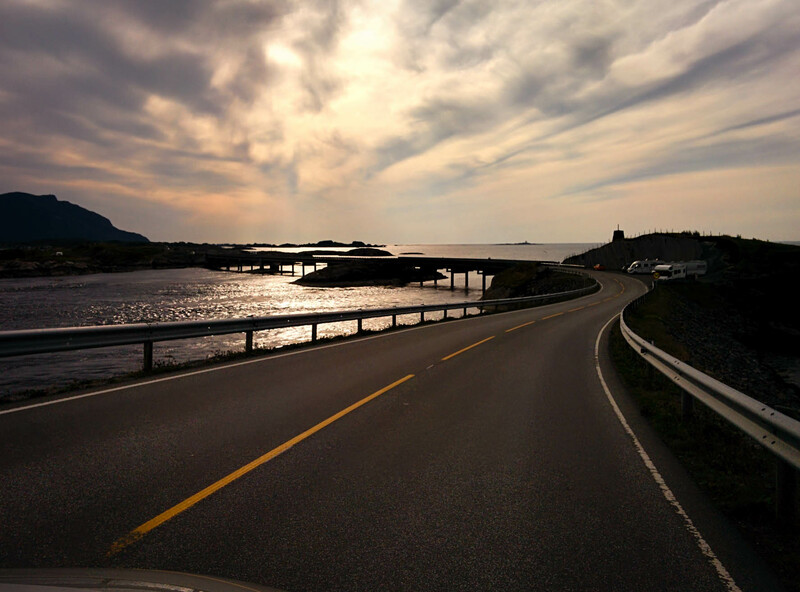 This makes the Atlantic Road one of my absolute top three favorite roadtrips ever! 10/10 would go there again. 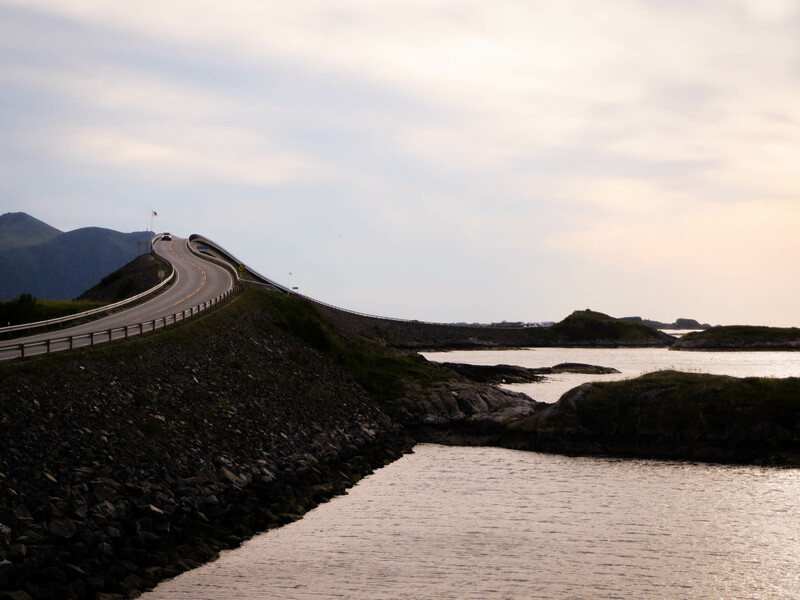 Is the Atlantic Road on your bucketlist now? Or did you allready cross it off? Let me know in the comments!